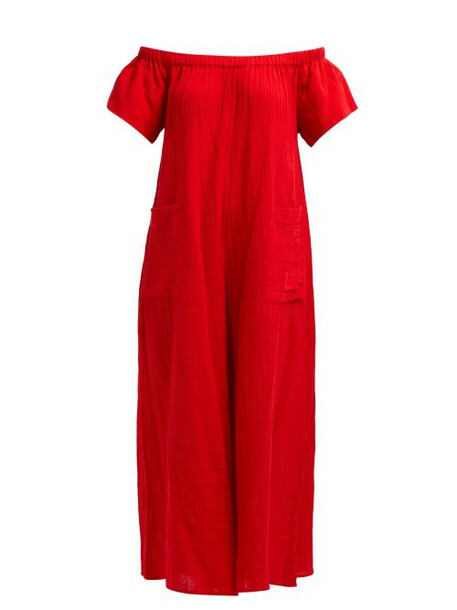 Mara Hoffman - Mara Hoffman's elevated vacationwear edit includes this red Blanche jumpsuit. It's crafted from organic cotton gauze - the texture of which gives it a relaxed feel - and features an off-the-shoulder neckline and short bell sleeves that complement the generous wide legs. Add a woven bag for a stylish beach-ready appearance.